Arguably the most beautiful of the many “places” or squares in Paris is La Place des Vosges. 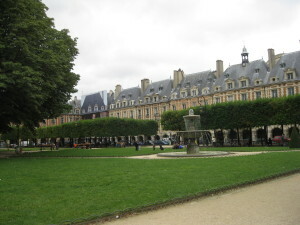 The breathtakingly beautiful Place des Vosges is the oldest planned square in Paris. Commissioned in 1605 by Henri IV, it formed the prototype for residential squares in cities all around Europe. Nothing of the kind had been seen before. Originally named La Place Royale, the square was inaugurated in 1612 to celebrate the wedding of Louis XIII and Anne of Austria. It was re-named, as La Place des Vosges, in 1799 when the Department of Vosges became the first department to pay taxes supporting a campaign of the French Revolutionary army. So, really the name was a reward for support for the new, anti-royalist France. At 140 metres by 140 metres La Place des Vosges is a true square. The facades of the houses that line it are all built to the same design from red brick with stone strips over vaulted arcades, steeply pitched blue slate rooves and small panelled dormer windows. Like many of the ‘places” of Paris, La Place des Vosges is planted with Linden trees, surrounded by lawns and gravel paths. La Place des Vosges has been home to many famous French people including Victor Hugo who lived in L’Hôtel Rohan-Guéménée which is now a museum dedicated to his life and works. 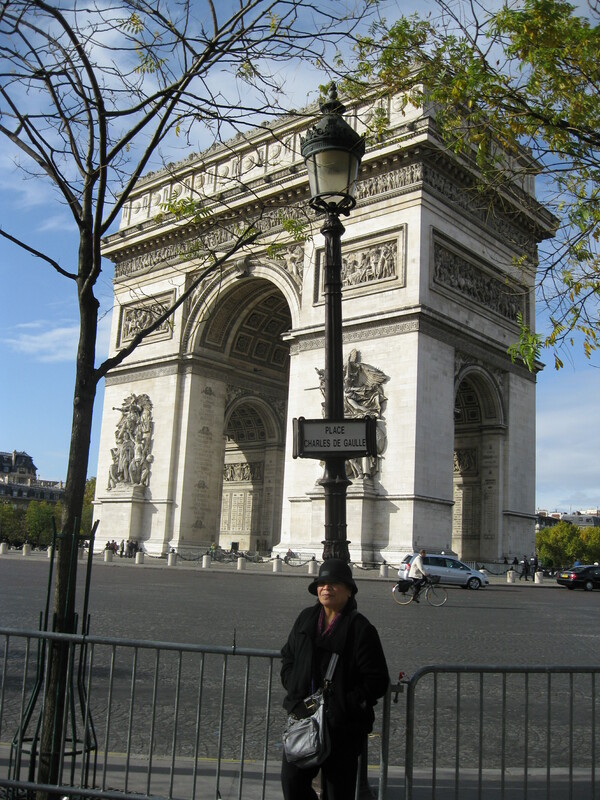 Paris is renowned for its historic and beautiful, ‘places’ or squares. One of the most historically significant is La Place de La Bastille which is located in the quaint little quartier known as Le Marais. La Place de la Bastille takes its name from the infamous prison that stood there from 1390 to 1790. Built originally as a fort which formed part of the defences of the old city, the building was converted into a prison by Charles VI in the 17th century. Anyone who opposed the Monarchy or the Church was incarcerated there. La Bastille soon became the most feared and loathed institution in the country, a symbol of injustice and oppression. It was, significantly, against the Bastille that first blow of the French Revolution was struck. On July 14, the Revolutionaries stormed the building, freed its (few, as it happened) remaining prisoners and liberated the large cache of arms stored there. By July 14 1790, the last stone of the detested prison had been torn down and carted away. After the Revolution, the area occupied by the prison became a square celebrating liberty. 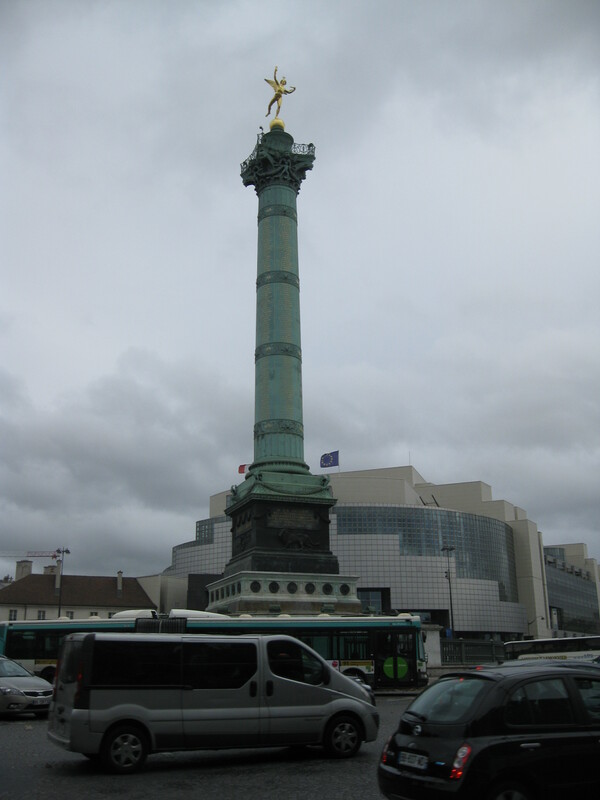 La Colonne de Juillet, a column to commemorate the Revolution was placed at its centre. The outline of the original prison building is marked out in paving stones on the streets. While 21st century Parisian traffic whirls in a relentless circle around La Place de la Bastille and modern buildings hover at its edges, there is still something about this corner of Paris that inspires a certain feeling awe and even a slight frisson of fear. L’Arc de Triomphe, which stands in the centre of La Place Charles de Gaulle, at the western end of Le Champs Élysée, is one of the great Parisian icons. Built in 1806 to honour the great victories of Napoleon Bonaparte’s armies, it was inspired by the Roman Arch of Titus. Over the last two centuries, the arch has become a memorial to all who have fought and died for France; the names of battles and Generals are inscribed on its inner and outer surfaces, beneath its vault lies the tomb of the unknown soldier from World War I and at its foot, surrounded always by wreaths and tributes, burns the eternal flame. Four sculptures decorate the base of L’Arc de Triomphe; The Triumph of 1810 by Cortot, Resistence and Peace, both by Antoine Étex and the most famous of them all, The Departure of the Volunteers of 1792, also known as La Marseillaise by François Rude. So massive is L’Arc de Triomphe, that after the victory parade marking the end of World War I, Charles Godefroy flew his Nieuport bi-plane under the arch!